Lavender water and rosewater are made by steam distillation using the relevant flower. The end result is aka hydrosols or hydrolat. Flower waters can be used for a variety of hair and skin issues and are a gentle and effective way to help treat these issues. 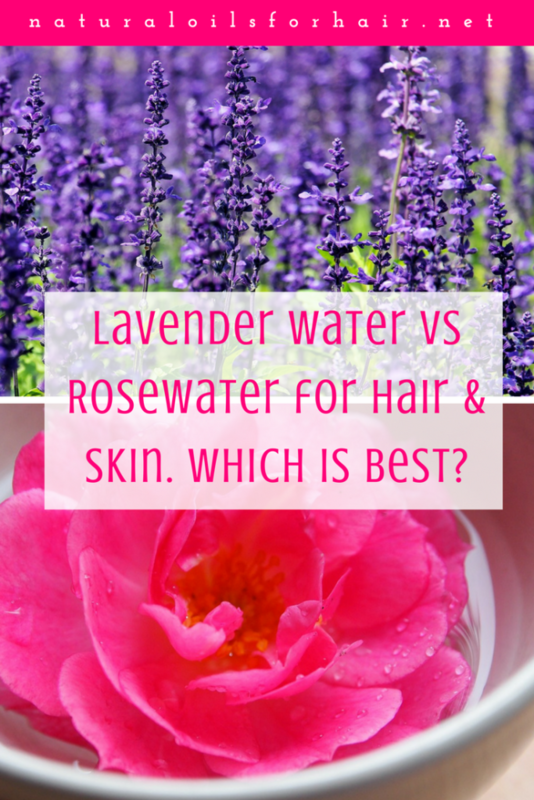 The common flower waters are lavender water and rosewater but does it matter which one you use for hair and skin? 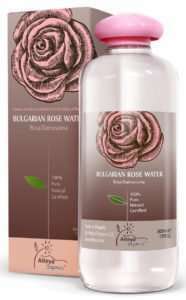 Rosewater remains the most widely known floral water. Rosewater is excellent for maintaining the pH balance of hair and skin, softens and revitalizes dry and dull hair and skin. Rosewater has antibacterial and antiseptic properties, which makes it a useful toner. It’s also a good companion in the fight against oily skin. In the Middle East, rosewater is used as a flavoring in desserts and tea. Lavender water has anti-inflammatory and antiseptic properties, which is useful for fighting off scalp problems as well as soothing and invigorating the skin. The lavender herb is a potent ingredient for treating alopecia areata. Lavender water also detoxifies the skin and refines the appearance of pores. Due to its calming and invigorating scent, lavender water can also help reduce anxiety and stress. 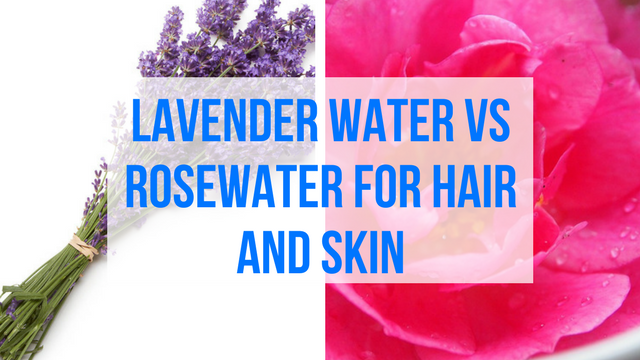 Lavender Water vs Rosewater. Which is Best? For hair issues, lavender water mixed with rosemary is the best especially for scalp issues like itchiness, dandruff, oily scalp, and alopecia areata. For skin, I prefer rosewater due to its gentleness but lavender water can be used as well and it depends on which smell you like the best. Rosewater is especially beneficial for dry and sensitive skin. You can mix rosewater and lavender water together when it comes to using it on the skin. Your skin might just like the mix. You can buy floral waters or DIY them. 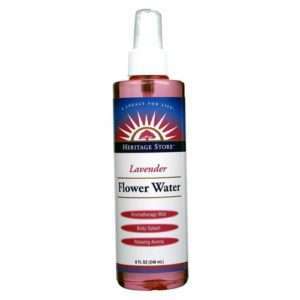 Read Lavender Water for Hair and Skin for DIY lavender water and this article for DIY rosewater. There’s one more water made from flowers, which isn’t as popular as lavender water and rosewater. This is orange blossom (neroli) water made from orange blossoms. Orange blossom water makes for a good skin toner for oily skin and has a pleasant scent that can calm the nerves.